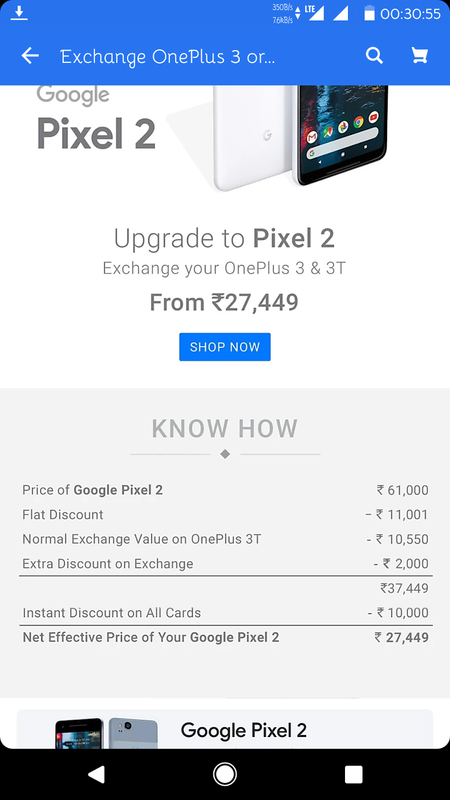 Google's latest flagship phones are expensive everywhere and in India it's ridiculous. The starting price for the Pixel 2 in India is Rs 61,000, which works out to almost $950. No worries, Flipkart is dropping the price of phone in few days by a third to a much more reasonable Rs 39,999. This discount will go live on December 7th to December 9th. Buyers can also get another Rs 10,000 off when using a credit or debit card. That brings the final cost to Rs 39,999, which is roughly $620. That's even cheaper than the US list price of $650. 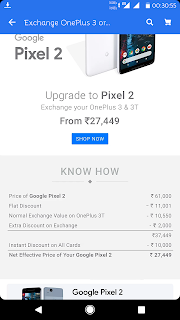 Note: the above calculations assume the 64GB Pixel 2, but the 128GB will remain Rs 9,000 more expensive and the 64GB XL is Rs 3,000 more than that.